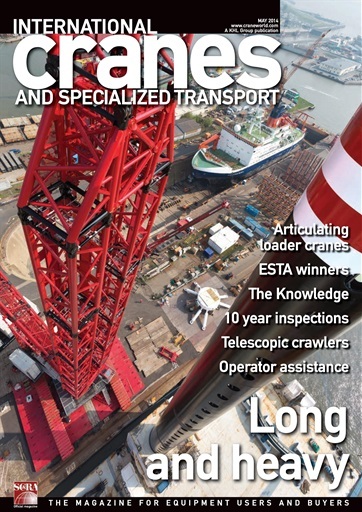 (0 Customer Reviews) | Write Review 12 issues per year International Cranes and Specialized Transport magazine is the first choice publication for news and features on the lifting and specialized transport industry. 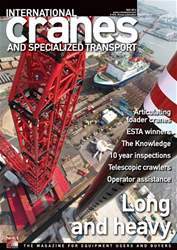 International Cranes and Specialized Transport magazine is the first choice publication for news and features on the lifting and specialized transport industry. You'll receive 12 issues during a 1 year Int. Cranes & Specialized Transp magazine subscription. You'll receive 12 issues during a 1 year Int. Cranes & Specialized Transp magazine print subscription.